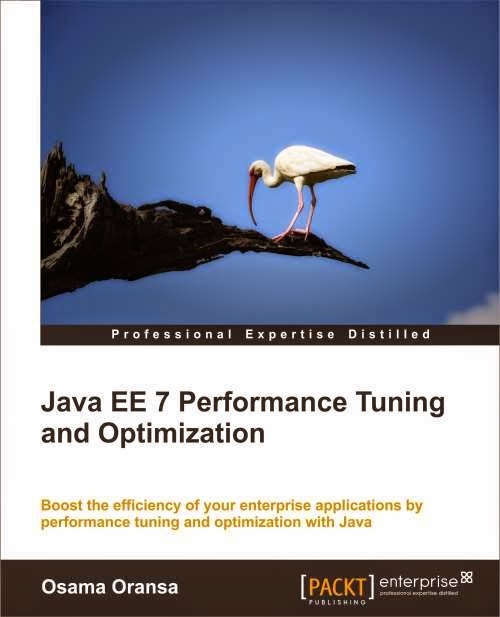 Hold a chance to win free copy of the Java EE 7 Performance Tuning and Optimization, just by commenting about the book with the link - http://www.packtpub.com/java-ee-7-performance-tuning-and-optimization/book! For the contest we have 5 e-copies each of the book Java EE 7 Performance Tuning and Optimization, to be given away to 5 lucky winners. 3) Adding a book tweet link or social media post in the comment will increase the chance to win the book. Note – To win, you must follow the previous 3 steps. The contest is valid for 1 week, and is open to everyone. Winners will be selected on the basis of their comment posted. We will announce the winners in this post and ask them to provide their contact email addresses. NOW the winners are listed below in the comments, please send me your emails, good luck for others. Congratulations, send me your email address. I would love to have a copy of the book (http://www.packtpub.com/java-ee-7-performance-tuning-and-optimization/book) , since I believe JavaEE7 is a great update on the JavaEE spec and I this book sounds very interesting. I'd love to write a review on my blog after reading as well. I am interested in Optimization generally. And I work in Bioinformatics. It depends on having high loads of data, which makes optimizing server applications a great need thereof. That is Why I'd love to have a copy of the book (http://www.packtpub.com/java-ee-7-performance-tuning-and-optimization/book ). I'd like to win "Java EE 7 Performance Tuning and Optimization" book because it's a must read fro any Java EE engineer, designer or architect. And also the book adapts an easy step by step approach. I'd like to win a copy of "Java EE 7 Performance Tuning and Optimization" as performance tuning is a vast and complex area in enterprise applications development, and it's good to read about it from an expert. I want to win a copy of "Java EE 7 Performance Tuning and Optimization" as I manage three corporate huge websites that always need an optimization in terms of speed and security. The 3 websites are competing with other worldwide websites in terms of loading times and response times of pages. I believe the book will serve in giving the hands-on experience in a simple step-by-step guide.